Had to make this post of a Rock Buggy i did with Jason G. quite some time ago, miss those days my friend. 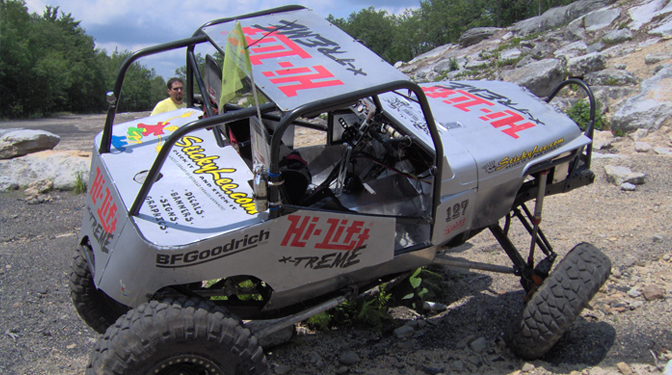 I assisted Jason with the aluminum panels, then cut and applied all the sponsor graphics on the buggy. Thanks to the Hi-Lift jack company and family for all the support they gave over the years.